Duke No. 2 Coil Spring Trap | BUDK.com - Knives & Swords At The Lowest Prices! Are you looking to take advantage of the rewards of trapping? To start off with, you need a trap that you can count on and Duke has you covered. The No. 2 Coil Spring Trap is excellent for trapping bobcat, coyote, fox, lynx and otter. It is built to last and has a 5 1/2" jaw spread. 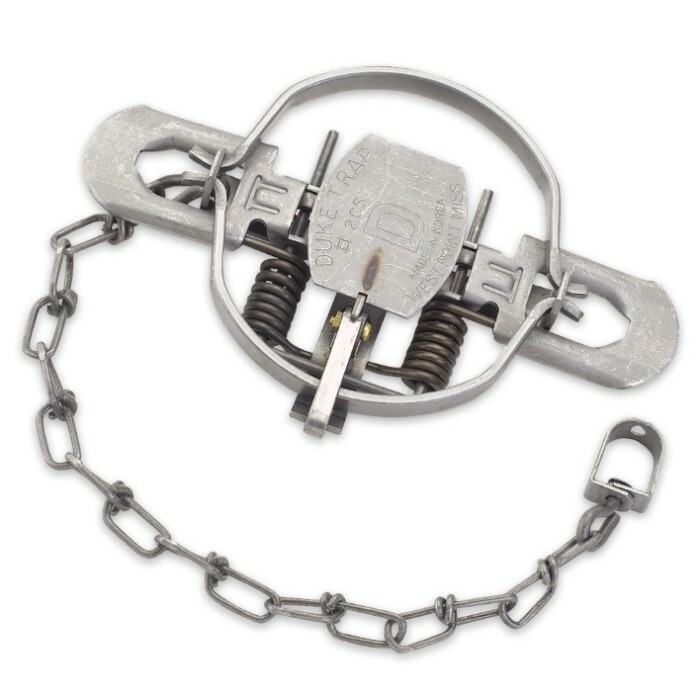 Trapping has been a time-honored tradition for hundreds of years and our Duke trap makes it simple.